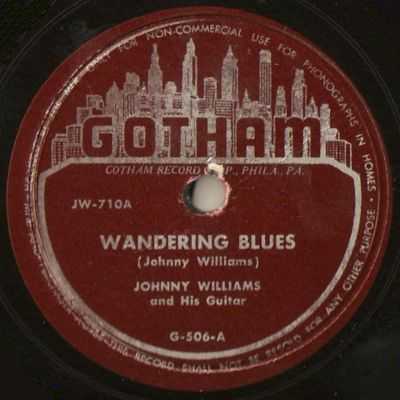 Today's show features the the legendary 500 series of the Philadelphia-based Gotham record label. And those who immediately recognize what's so special about this series, those are the true blues conaisseurs. Though three of the first four numbers on of the 500-series were more R&B and jazz-styled recordings, number 504 and up are all hard, man-and-guitar style blues. And that stands for great guitar work, colorful artists and gritty lyrics. Blues fans can eat their heart out!